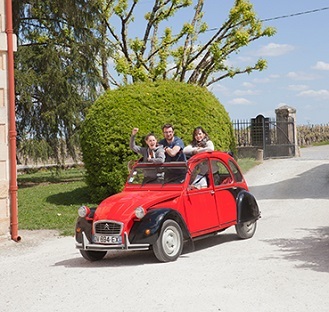 Have some fun in the vineyard of Medoc or Saint Emilion, while driving your old typical french car "2CV". This rally will allow you to discover the beautiful sceneries of the Bordeaux vineyard. On the road, admire the wonderful and prestigious chateaux. Some contests will be set up like crushing the grapes and extracting the largest quantity of juice possible; a time trial to roll barrels, funny pictures in front of the chateau dressed in the 17th century château owner. 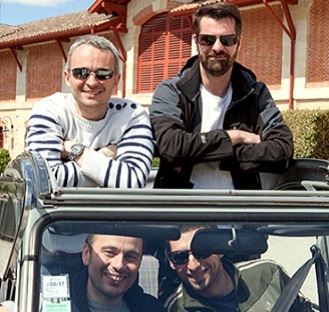 Experience typical French art de vivre while drinving the 2CV cars! 4 pers./car - Between 12 and 140.